Who needs Estate Planning? In reality we could all benefit from having an estate plan in place. Estate Planning is simply a process to make sure that you and your loved ones are provided for. However depending on your stage of life, your estate planning needs may differ and can change over time. Below are some common concerns regarding Estate Planning broken down by life stages. Even though your 18 year old may still be completely dependent on you, in the eyes of the law, once your child turns 18, they are no longer a minor. As hard (or as easy) as this fact is to accept, legally your child is an adult. This means that you as the parent will not be able to easily manage their affairs if the need arises. What will you do if your adult child experiences a medical or financial emergency? A financial and health care power of attorney allows you to step in and take care of your adult child. Without these, you may be faced with petitioning the court to name you as the guardian of your child. “Adult Jobs” mean benefit packages that include life insurance and retirement benefits. There are rules that govern how those assets get inherited. Are the default rules appropriate? Who should be the beneficiary – parents, siblings, charity, a significant other? Frequently I find that the default plan rules do not do a good job in providing for those individuals and entities that the client would want. Therefore, steps should be taken to ensure that these assets are titled and inherited according to the wishes of the client. Although in NC it is true that a spouse cannot be disinherited, marriage alone does not serve to update your estate plan. If anything, it’s a monumental life event that should be accompanied with purposeful planning. For example, if you had a Will and Power of Attorney documents previously prepared, they will need to be updated to provide for your spouse. The same is true for beneficiary designations on life insurance and other accounts. Most clients would prefer that his or her surviving spouse inherit 100% of their estate, but unless there is a Will and other planning in place, this will not happen. A lack of planning can further complicate relationship between parents and spouses. Do you really think your spouse meant for you to share an inheritance with your in-laws? The primary concern of individuals with minor kids is to make sure that if something happens to the parents that their children are provided for physically, mentally, emotionally, spiritually, and financially. Having a Will naming guardians for your children allows you to retain control over how they are raised. Without an Estate Plan you leave the Court to decide both who will have custody of your children and also how your assets will be managed for their care. Furthermore, your minor child may inherit some of your assets outright, even if there is a surviving parent. This situation is rarely appropriate and can cause multiple problems. Think about it, do you want the court to have supervision over your children’s inheritance? If not, the only way to retain control over your children’s inheritance is through Estate Planning which specifically states your wishes. With adult children, we don’t worry about the guardianship question anymore. However this does not eliminate the need for considerations for their care and well-being. If you child has special needs, the concern is making sure that they are provided for long term and that they have access to the care that they need. Perhaps your child has some creditor issues, the concern is making sure that the assets you worked hard for are not squandered. Whether you intend to treat your children equally or equitably, Estate Planning allows you to remain in control of your children’s inheritance. Just like getting married doesn’t entitle you to 100% of your spouse’s estate, getting divorced does not automatically disinherit your ex-spouse. Unless specifically removed, your ex-spouse can remain your power of attorney for finances and health care. Furthermore, unless you update your beneficiary designations on your life insurance and retirement accounts, your ex-spouse will remain the beneficiary of those assets to the exclusion of your children, or perhaps your new spouse. Failing to update beneficiary designations is the number one issue I see with divorced individuals. This is troublesome since frequently the life insurance and the retirement plans are the biggest asset of an individual. The Brady Bunch family is the new normal. Families can be complicated, but planning for them doesn’t have to be. The number one concern for blended families is that the wishes of the individual are followed. Can you trust your new spouse to treat your children from a previous relationship fairly as compared to their own children? What if you pass away and your spouse remarries, would you trust him or her to continue to provide for your children once they remarry? Without Estate Planning you lose control over how your spouse and children will be provided for. However with a little bit of planning you can ensure that your current spouse and your children are both provided for according to your wishes. Your interest in a Company is an asset just like everything else. This means that your heirs would inherit that interest and suddenly your business partner is in business with your whole family. Estate Planning ensures that corporate documents provide for what happens when a partner passes away so that your business partner is not stuck with your whole family. As an Estate Planning Attorney, I can also review your corporate documents to make sure that you really have that limited liability you think you do. Furthermore, we will talk about buy/sell agreements, and other methods of buying the interest of a deceased partner out so that the wishes of the business owner are preserved. 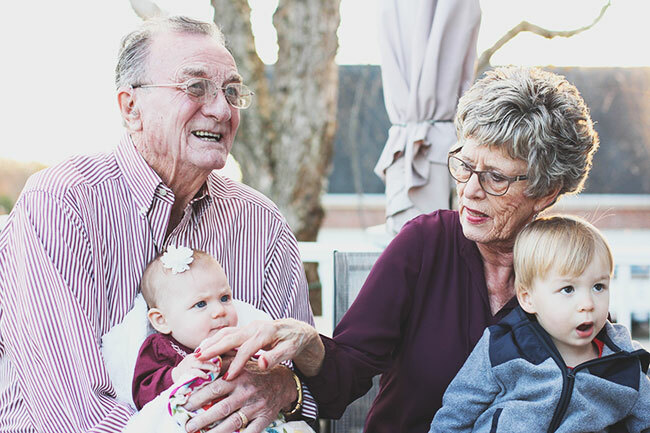 As demonstrated in these examples, no matter what stage you are in life, you and your loved ones can benefit from some Estate Planning. A trusted Estate Planning professional will sit down with you and go over your family situation and assist you in creating the appropriate plan for your individual situation. Investing a little amount of time today can certainly save a lot of effort, family relationships, and reduce ambiguity to ensure your wishes are put in place.